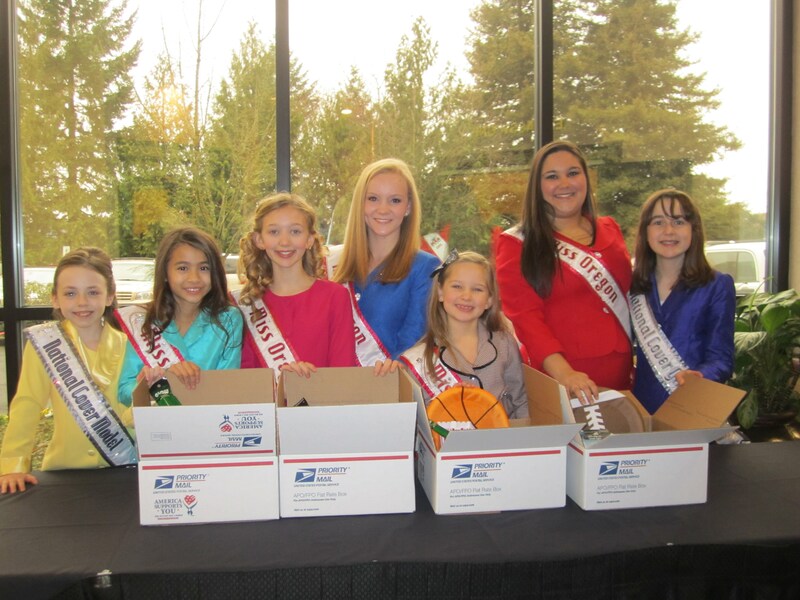 Oregon Queens and Cover Girls take time to send love and support to our troops! This photo was taken at Oregon’s first Open Call of the year. The girls were so excited to be with their Director, Matt Leverton and spread the good news about NAM, but they did take some time to put together Valentine Gift boxes for the troops! From left to Right: National Cover Model Isabella Conner, Jr. Pre-Teen Queen Ciara Wilson, Pre-Teen Queen Madeline Monlux, Jr. Teen Queen Madison Irving, Princess Queen DéjaFitzwater, Miss Queen Kyenna Leedom, National Cover Girl Kyra Walters. Previous Previous post: Jennifer Mullins National American Miss Georgia 2011 Shops with a Cop! Next Next post: BELLE SCOTT, Miss South Carolina PreTeen FILMS ANTIBULLYING PUBLIC SERVICE ANNOUNCEMENT / CREATES WEBSITE TO COMMEMORATE AND PROMOTE HER NAM EXPERIENCE AND OPPORTUNITIES!